➤ OSCiLLOT is a patchable, up to 6 voice polyphonic modular system, plus a monophonic Effect version. There are currently ~100 modules integrated. 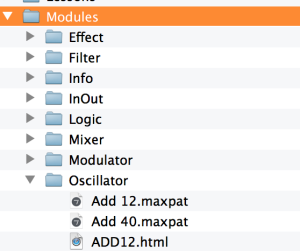 ➤ OSCiLLOT AFX is a monophonic Audio FX version. ➤ OSCiLLOT MIDI Receive can be used to receive OSCiLLOT data on MIDI tracks, to play your Ableton instruments or VSTi’s/AU’s. 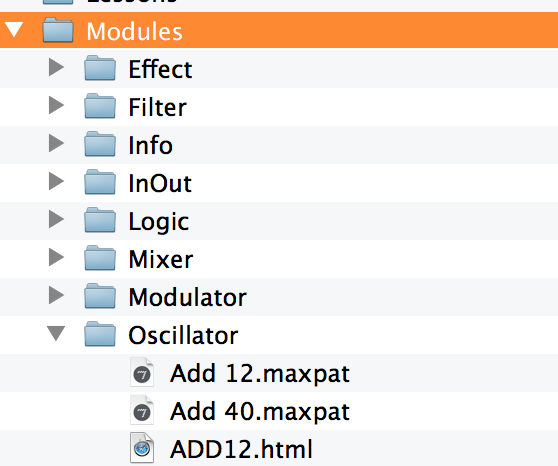 1. locate the OSCiLLOT pack in the Live Browser and right/ctrl click it. Choose ‘show in Finder'(Explorer on PC’s). 3. Place the module in the right category of the ‘Modules’ folder.